Without actually taking you to Gayaza, it may be hard to understand what life is like there. 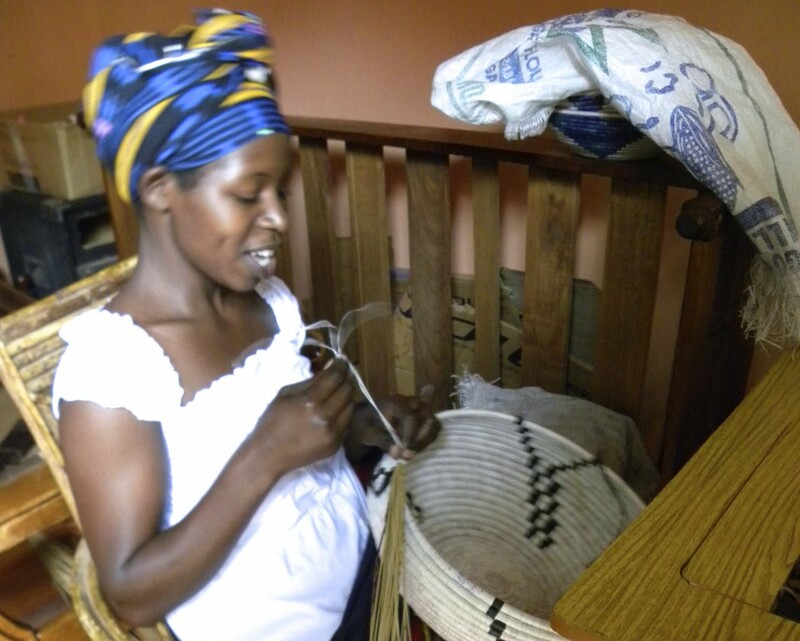 We thought we would do our best to share with you what Gayaza, Uganda is like. 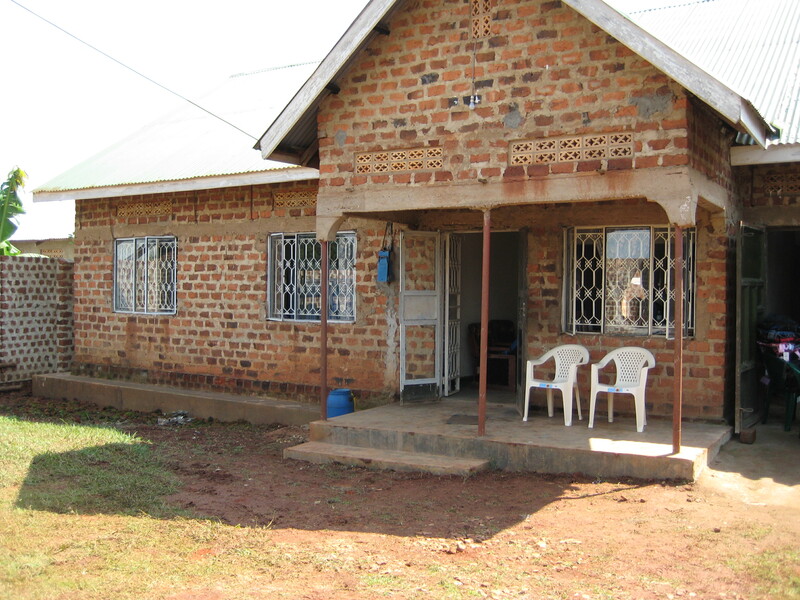 Gayaza is adjacent to Kasangati, a smaller town that borders Gayaza to the southwest, this is also a town where a lot of Rising Star children come from. 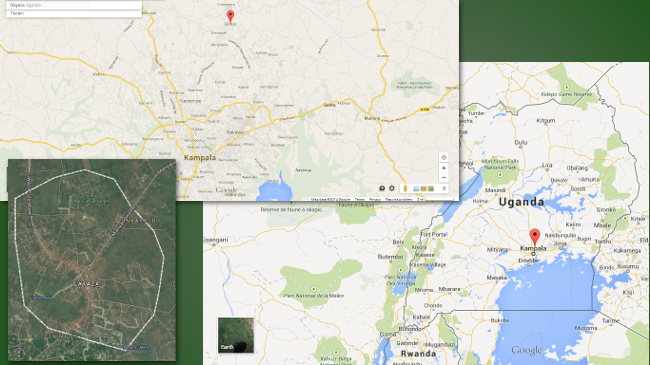 Gayaza itself is located 10 miles north of Kampala, Uganda’s capital city. Gayaza has a mix of middle class Ugandans and many living in poverty. 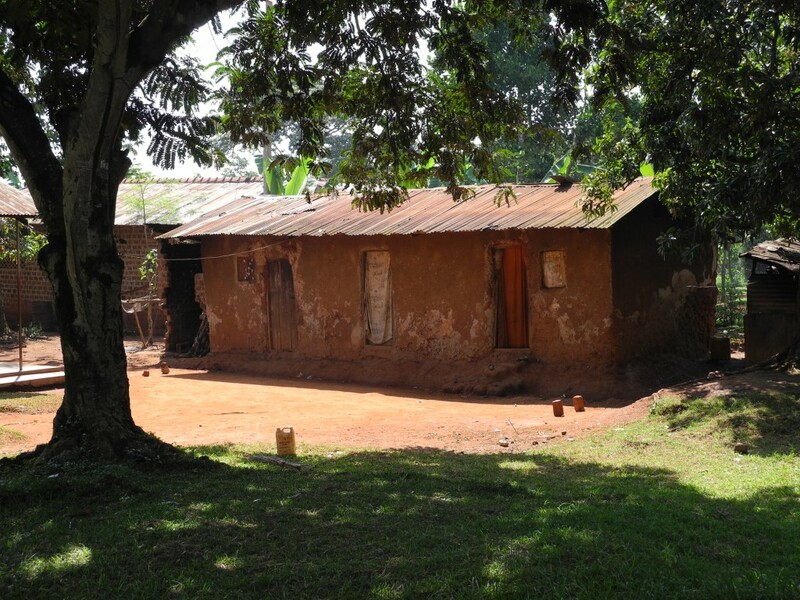 A middle class Ugandan typically lives in a house made of of bricks with a stucco finish that has 2-3 bedrooms, cement floors and glass windows. 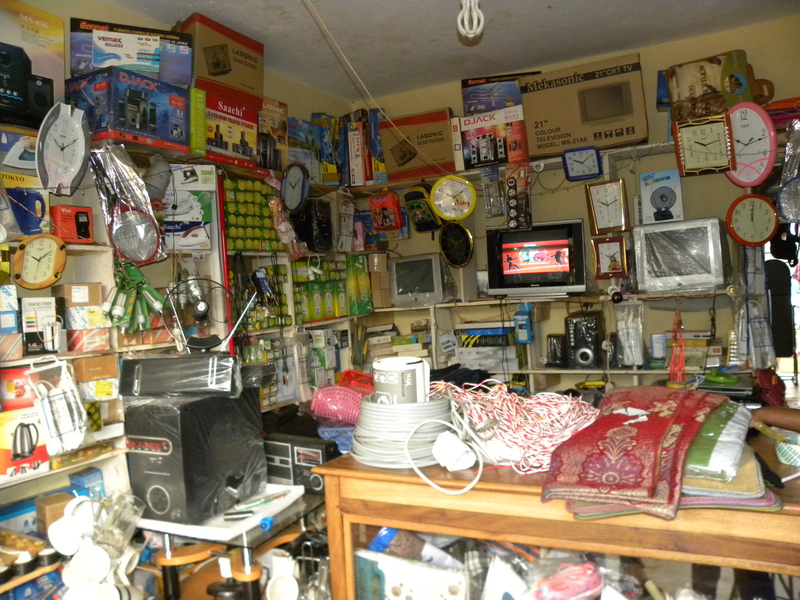 They have electricity in the house and usually one TV. 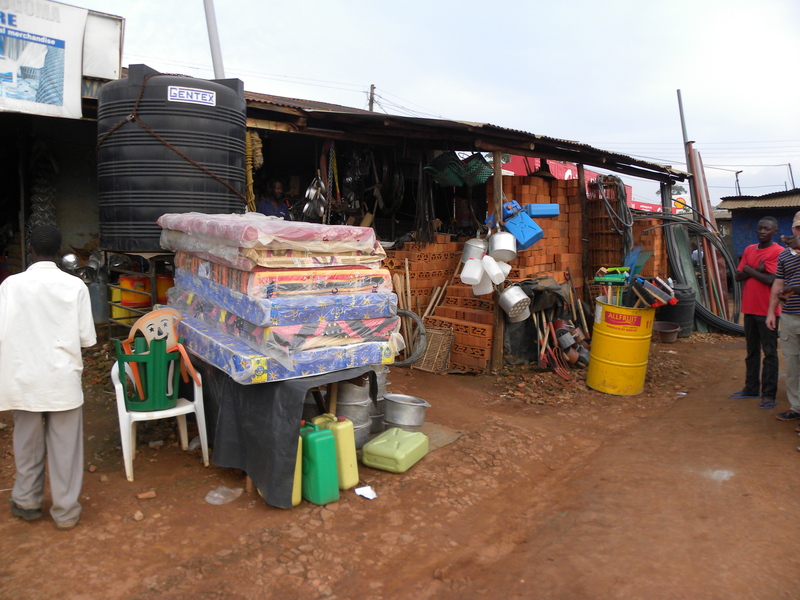 Most middle class Ugandans have a water tap outside the house for the family to get water and some homes do have indoor plumbing. Lower income families typically live in homes that are not as nice. They typically rent one or two rooms (not bedrooms, rooms total) from a block that is owned by somebody in the middle class. These rooms may or may not have a light, but that’s about as far as it goes for electricity. Water is not available in the home or from any tap. There usually wooden shutters for windows. Because the owners don’t live there themselves, they usually don’t take too much care of the property, meaning a lot of the rooms are left in poor condition. Floors can be dirt floors or if they were cement at one time, there is a good chance they are in rough shape. 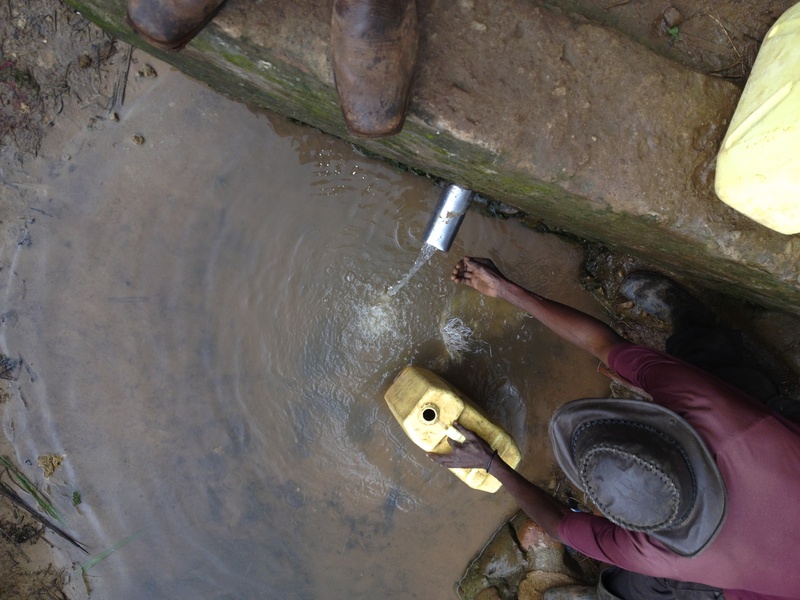 Because most homes in Uganda don’t have water, people have to “fetch” their water from the closest source. 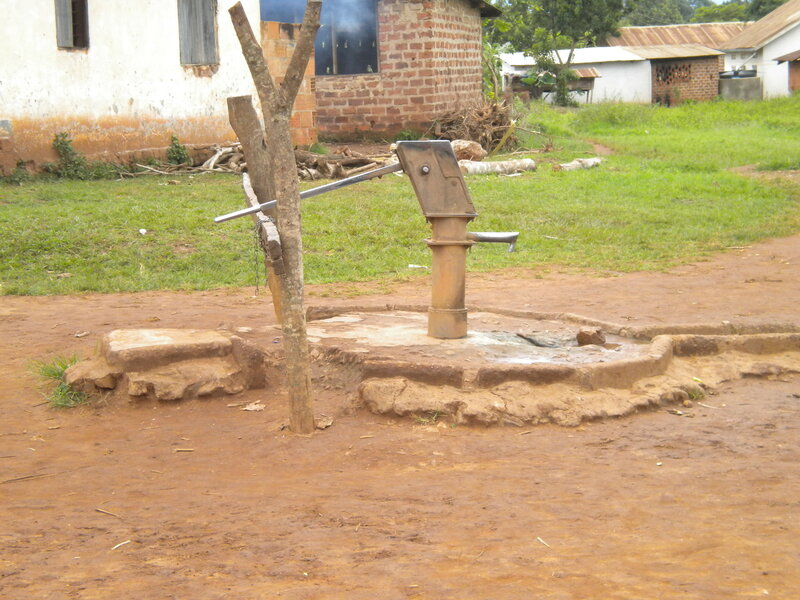 This could be a community borehole where they pay a few cents to use it. 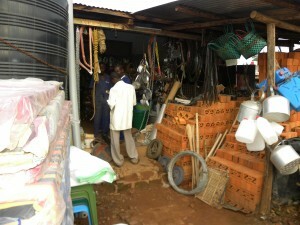 This is collected by a member of the community who uses the funds to provide maintenance for the well. Others go to a spring to get their water. With it being towards the bottom of the hill though, it can be hard to get to. Some people will hire somebody else to help them get the water. 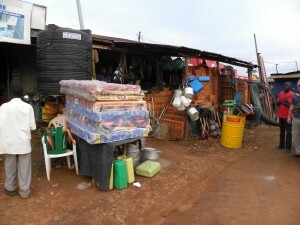 You can see people carry multiple cans of water on a bicycle, usually delivering water to many people in the community. 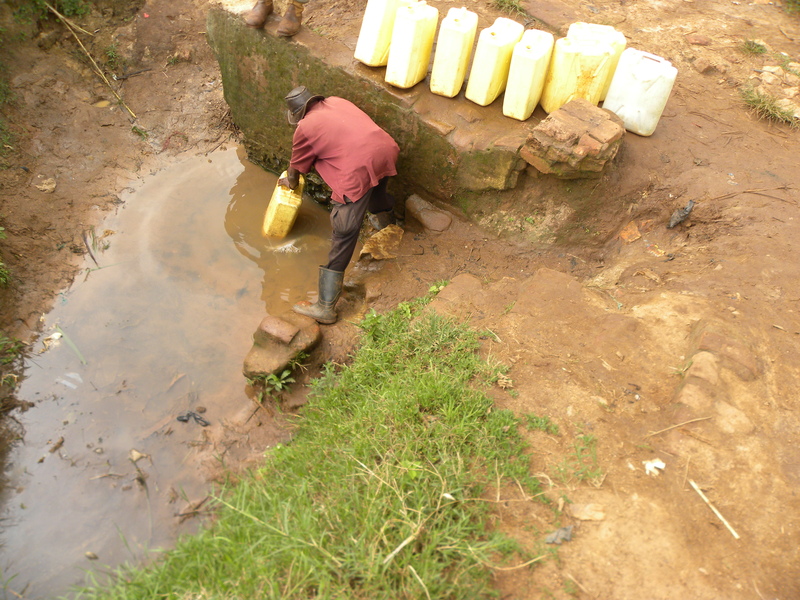 This is the same water people use for bathing, which is typically done in a secluded place behind the home by dumping water over their heads. Hot showers are not normal by any means. They also use the water for washing their clothes, but not by putting it into a washing machine, but by scrubbing with their hands. 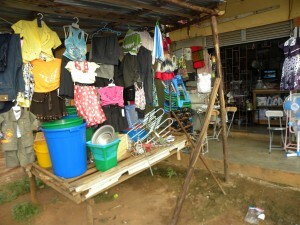 They also use the water for drinking and cooking. 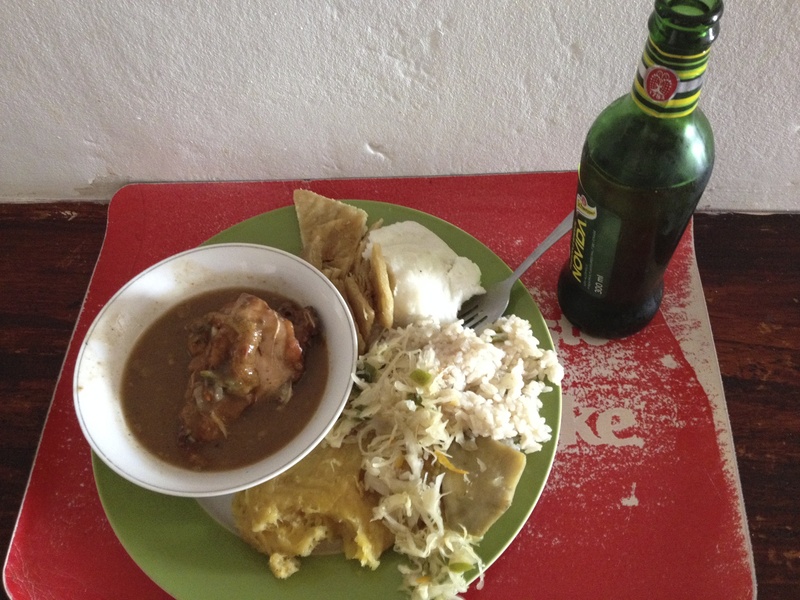 A traditional Ugandan meal includes your choice of many starchy side dishes; which include rice, cassava (root vegetable), yams, Irish potatoes (red skin), posho (millet flour), maize (Corn) and the most popular matoke (mashed green bananas). This is commonly referred to as “food”. While the stew which is called the “soup” of your meal. The choices are usually beans, chicken, fish, groundnuts, or beef. 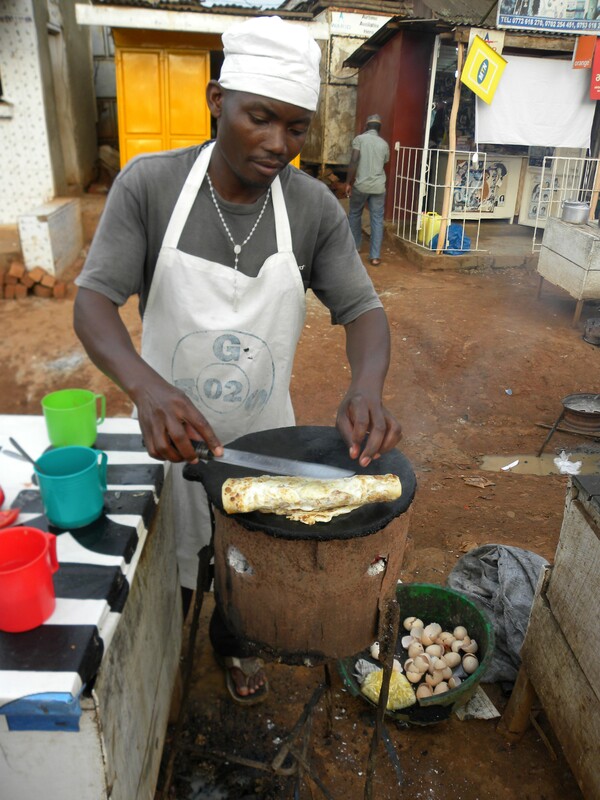 When it’s not meal time but you’re looking for something to eat, there are plenty of street vendors around Gayaza to offer snack options. 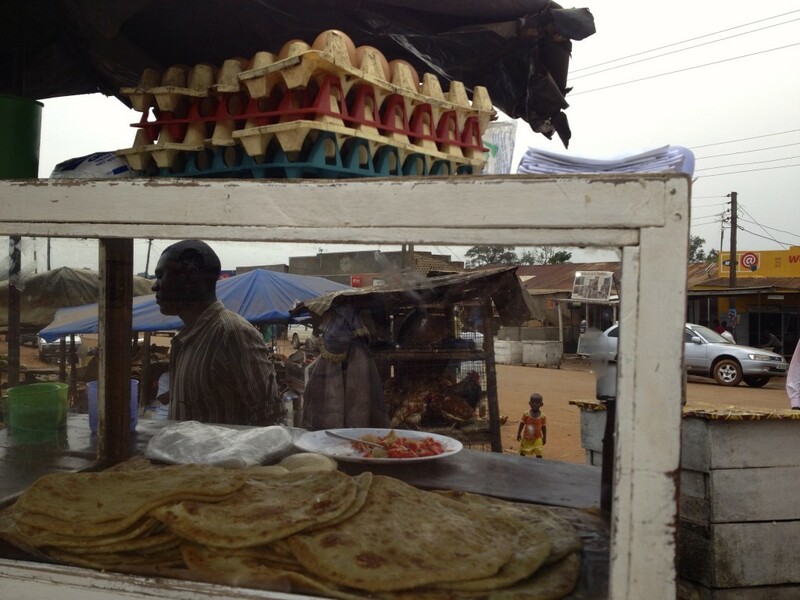 Some options include chapati’s (an Indian flat bread), samosas (fried dough with either beef or cow peas as filling), egg rolls (not the kind you’re used to, these are mashed potatoes formed into a ball with a hard boiled egg in the middle and then deep fried, or rolex (chipati with fried egg and vegetables). 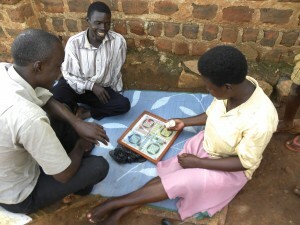 Other snacks include groundnuts, corn nuts and sim sim (ball of sesame seeds and honey). 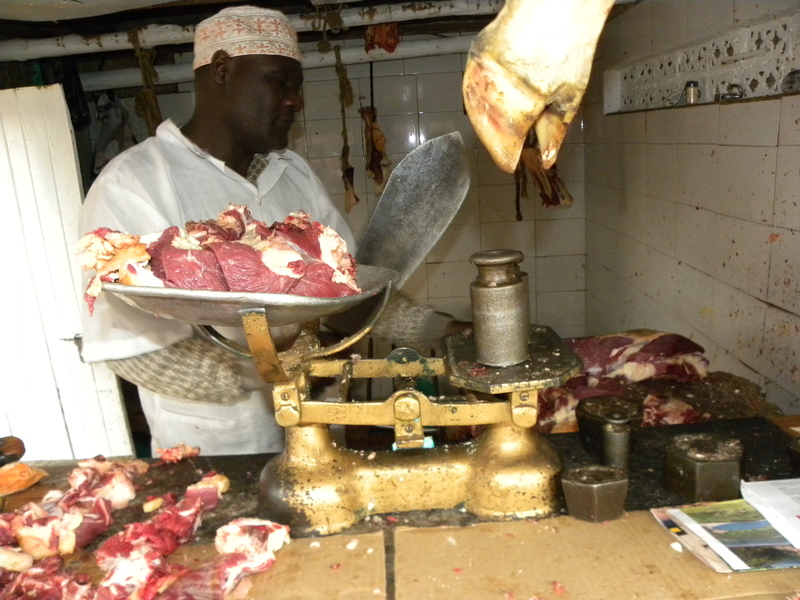 To get the foods Ugandans need for dinner, they don’t go to the super market once or twice a week; they go daily to get what they need from specific vendors like this butcher. You tell him how much you want and he hacks away with his machete to get you the amount you asked for. 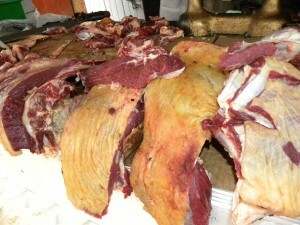 This is not prepackaged, actually the meat sits on the counter until it is bought up. Sometimes it sits in the hot sun, though they try to shade it. It is really rare to find it without a multitude of flies swarming. 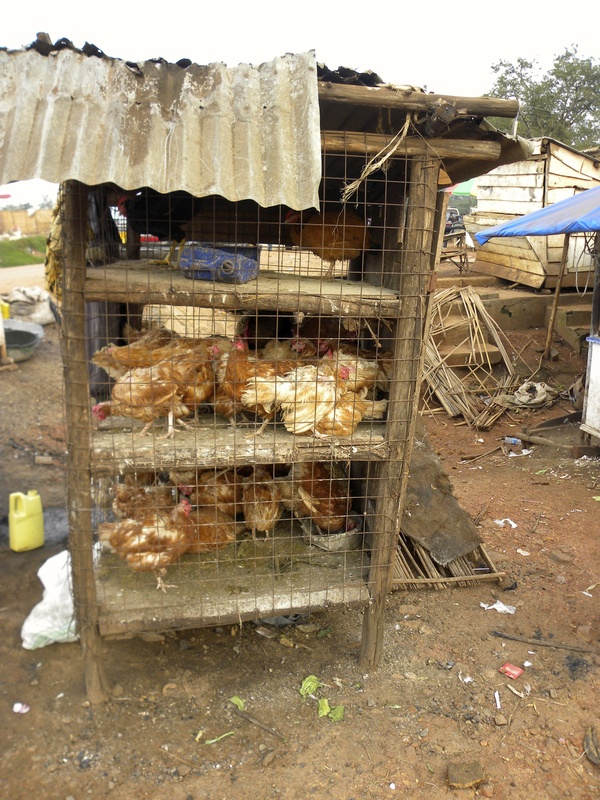 If it’s chicken that you’re having for dinner, then you get to pick which one you want from a cage like this. 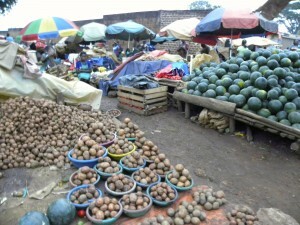 As for fruits and vegetables, you would get those from the large open air market, where just about everything is available. In the market area you can also find shops to get things like second hand clothing and home goods. Since it is a developing country, it is not hard to find a hardware store for those who are building homes. 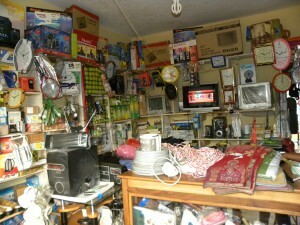 Here you can get just about anything you need for small or large construction projects. 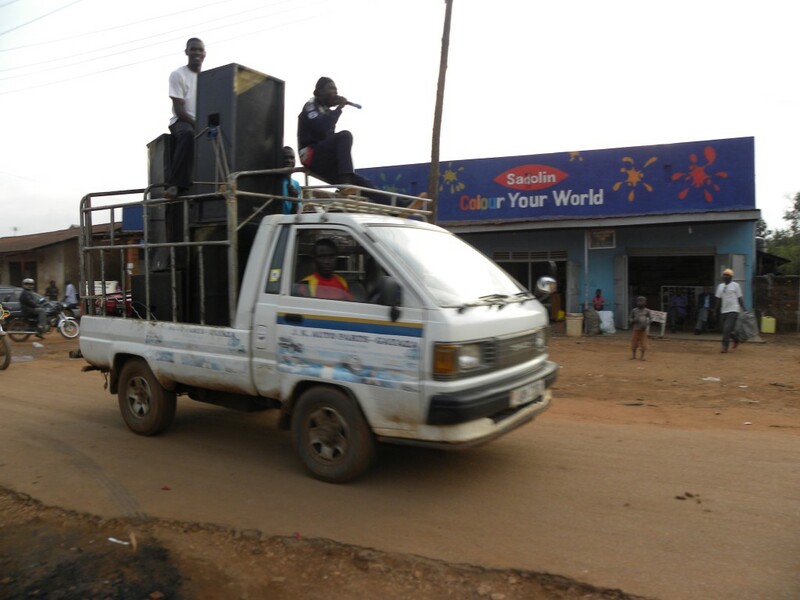 For fun a lot of Ugandan’s love football (soccer). If there is a local game, you can find the field packed with locals watching. What they love more than the local game though, is the English Premier League. 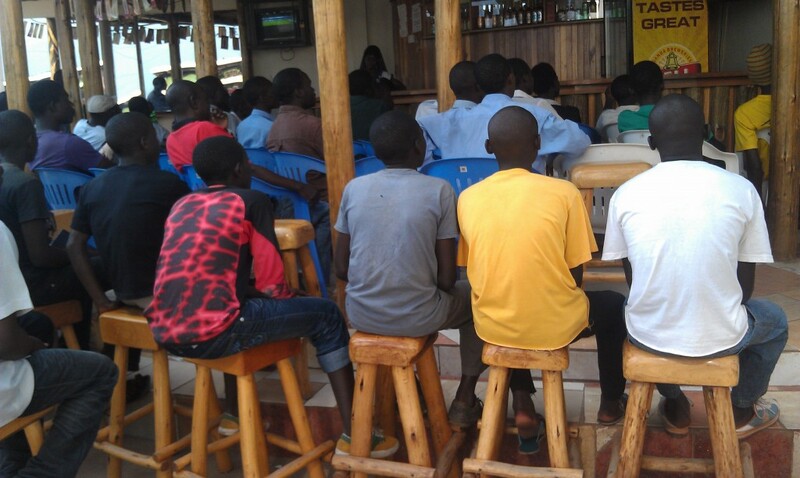 Fans will gather in bars and cinema halls to watch their favorite teams. Don’t get the wrong impression of a cinema hall though, these are not large screens with reclining chairs and fresh popped popcorn. These are typically a single room with a really loud speaker broadcast from a 19 inch TV and people sitting in plastic lawn chairs. If you wanted to call and talk to your friends about the match, make sure you top up your airtime. 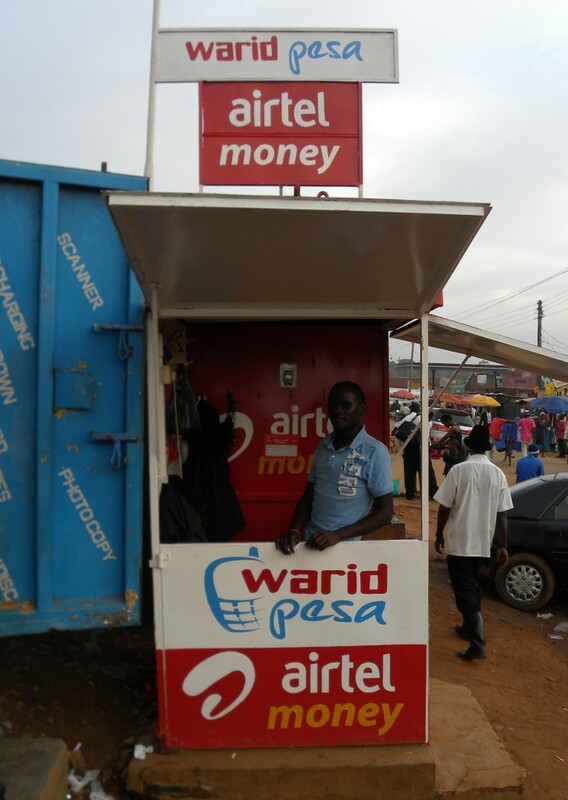 Most cell phone services in Uganda are prepaid. Stop by a stand like this to pick up a scratch off card with a code to top up. 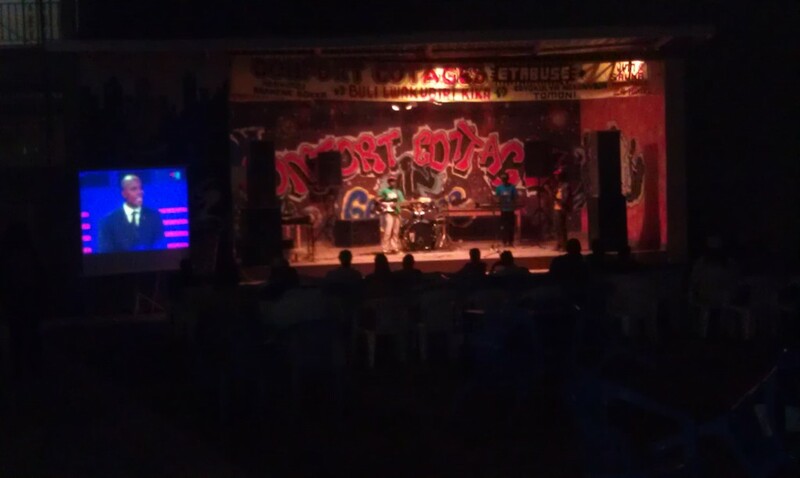 Besides soccer music is another favorite, which is why you’ll find disco halls packed on concert nights until 5 or 6am. Of course to know about the concert, somebody has to tell you. That’s why you’ll commonly see these trucks driving around, promoting tonight’s show. 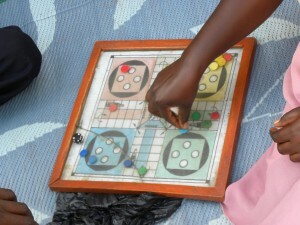 Ugandans also enjoy board games such as Omweso and Ludo. 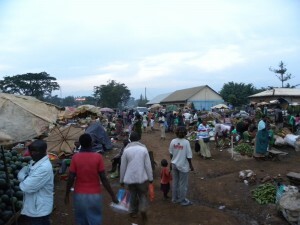 You will often see small crowds gathered around as people partake in the fun. 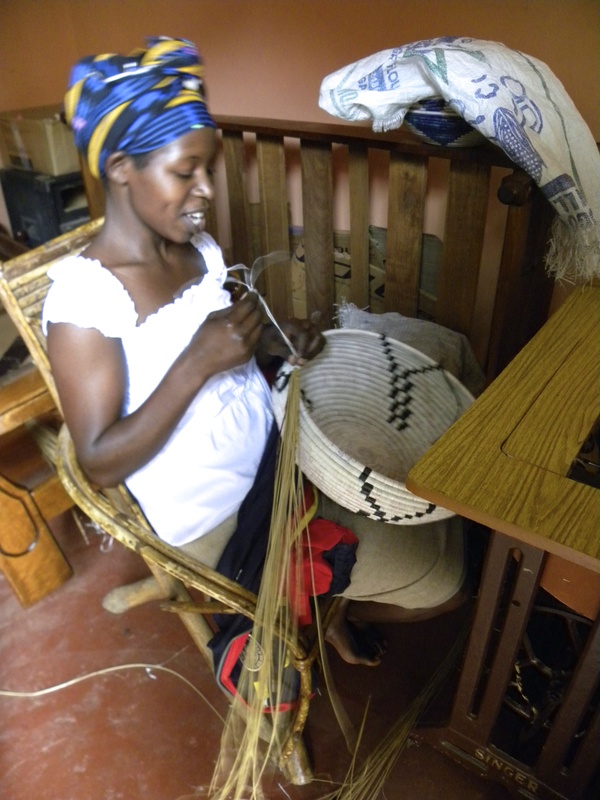 Ugandans also love making crafts, they will make just about anything from banana fiber, from soccer balls to mats to baskets and more. 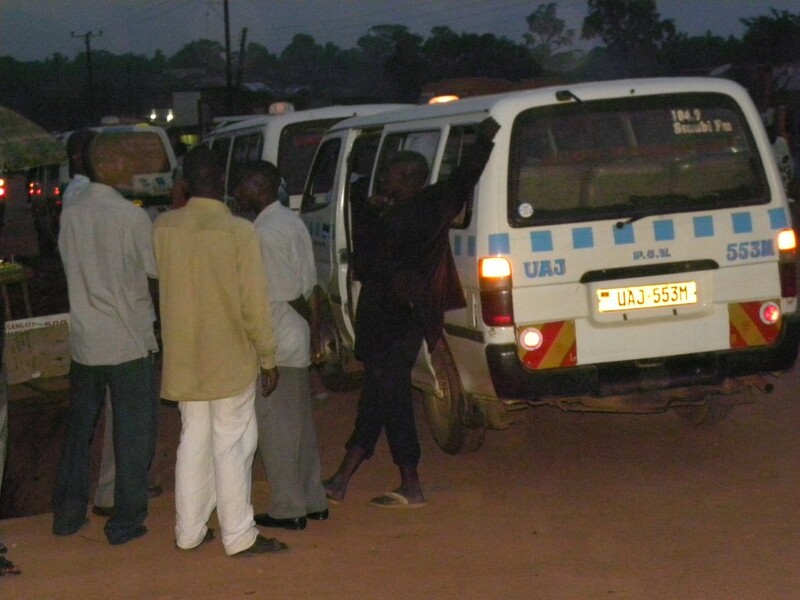 If you did need to go to Kampala, you would most likely take a taxi; a small van that can take about 16-18 people and stops on the side of the road to pick people and drop them off along their route. 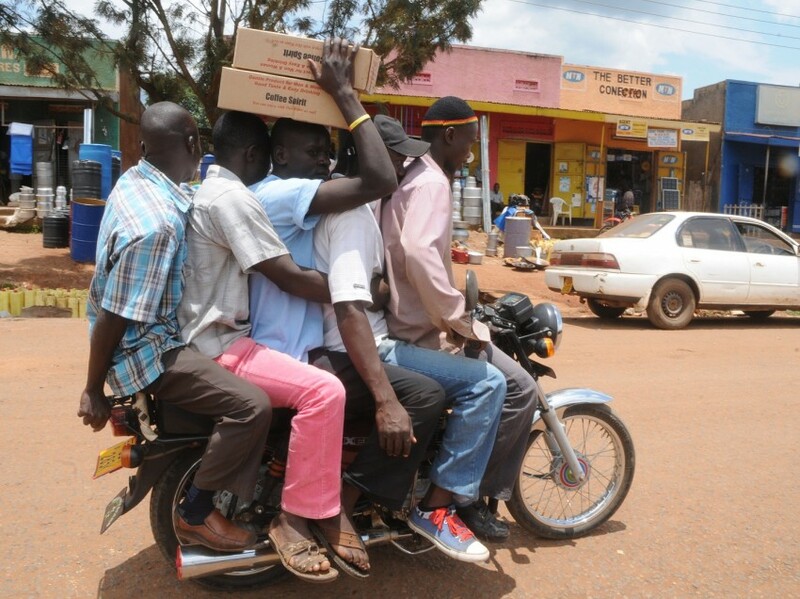 For shorter distances, you may choose to take a boda boda. They cost a little more than taxis, but are more agile and can take you off the main road and there still is plenty of room for you and your friends. If there is something you want to learn about life in Uganda, click here to ask and we’ll be happy to share more with you.